Toronto, March 24, 2009 – Each year, hundreds of preventable head injuries are reported on Canadian ski, snowboard and toboggan hills (1). Canadian Standards Association (CSA), a leading developer of standards and codes, announces the country’s first recreational alpine skiing and snowboarding helmet standard to help protect winter sports enthusiasts on Canadian slopes. According to the Canadian Ski Council, 2007-2008 Canadian Skier and Snowboarder Facts and Stats report, there are now some 4.2-million Canadians participating in downhill skiing and snowboarding. Since 2004, the total number of skiers has increased by 25 per cent, snowboarders by 23 per cent. As the popularity of these sports has grown, so too have the number of traumatic injuries and even fatalities, with traumatic brain injury cited as the main cause of death among skiers and snowboarders (2). Research has shown that helmets used for skiing and snowboarding are associated with a 60 per cent reduction in head injuries(3). CSA’s Z263.1 Recreational Alpine Skiing and Snowboarding Helmets applies to helmets intended to help reduce head injuries for recreational alpine skiers and snowboarders. It defines the areas of the head that are to be protected for impact injuries and covers the basic performance requirements for shock absorption, helmet stability, and retention system strength as well as marking and labelling requirements. Helmets that comply with the standard will be designed to sustain multiple impacts. The standard also applies to helmets worn for other non-motorized recreational snow sport activities such as tobogganing or sledding. Many alpine ski and snowboard helmets currently on the Canadian market are “self-certified” by manufacturers to American and European standards. In Canada, there are no requirements for helmets to meet any standard and some helmets may offer little protection at all. In order to meet the CSA standard and earn a certification mark, alpine ski and snowboard helmets will have to be certified and tested by a laboratory accredited by the Standards Council of Canada (SCC). Although the CSA Z263.1 Recreational Alpine Skiing and Snowboarding Helmets standard was in place in 2008, until now there has not been a Canadian certification program accredited by the SCC. CSA International has made a formal application to the SCC, and anticipates the office in Montreal will soon offer Canada’s first SCC accredited certification program to the new standard. The Montreal facility will be accepting submissions from helmet manufacturers beginning in April 2009. The standard in particular would not have been possible without the tireless efforts of Richard Kinar of West Vancouver. After witnessing a serious collision between two young skiers that resulted in serious head injuries, Kinar began a grassroots campaign to raise funds for the development of a Canadian standard for alpine ski and snowboard helmets. Richard Kinar's devotion to ski and snowboard safety ultimately led to the Government of British Columbia providing initial funding to make the standard possible. CSA is a not-for-profit, non-government organization and compliance with all CSA standards is voluntary unless legislated by government or mandated by industry or trade associations. It will be up to manufacturers to submit their product for certification by certification and testing organizations recognized by the Standards Council of Canada. Helmets alone cannot prevent all injuries. Skiers, boarders and sledders should always be aware of their surroundings and practice sports in a manner compliant with their level of experience. Injuries associated with downhill skiing, snowboarding and sledding: Canadian Hospitals Injury Reporting and Prevention Program (CHIRPP) database, 1990-91 to 2006-07. 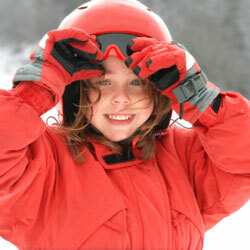 Helmet Use and Risk of Head Injuries in Alpine Skiers and Snowboarders. Steinar Sulheim, MD; Ingar Holme, PhD; Arne Ekeland, MD, PhD; Roald Bahr, MD, PhD. JAMA. 2006;295:919-924.